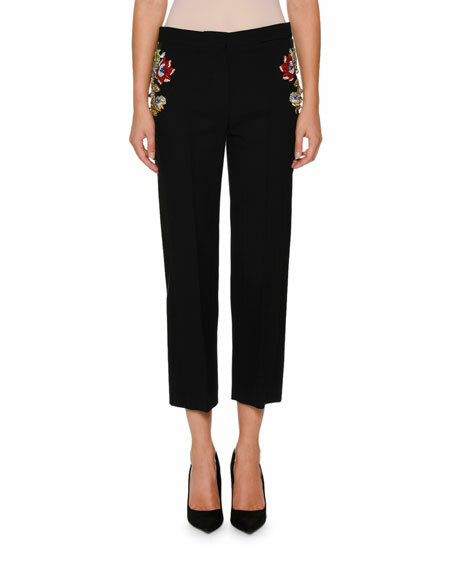 Alexander McQueen trousers with jeweled embellishments. Natural rise; hidden hook-zip fly. 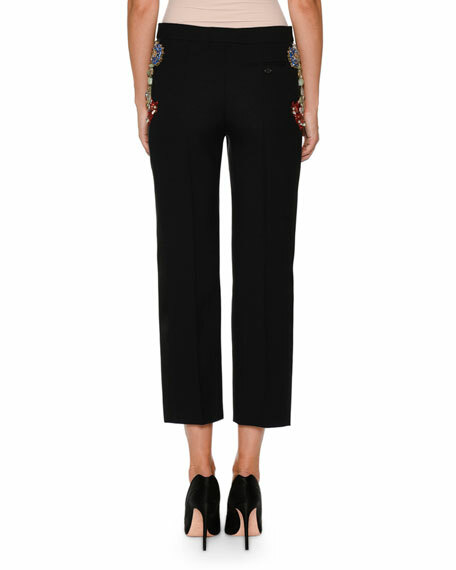 For in-store inquiries, use sku #2367391.